Welcome to Harbor Ridge Winery! 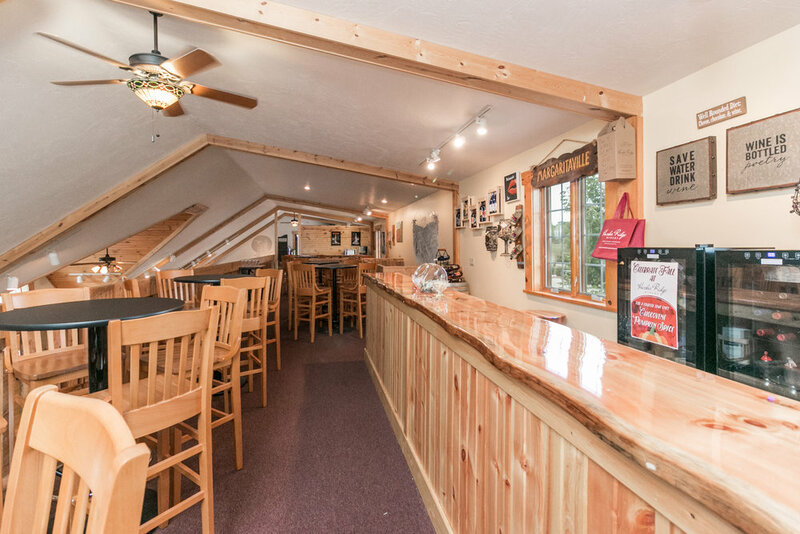 As soon as you step inside our friendly log cabin winery, you’ll understand why our motto is “Solving the World’s Problems One Sip at a Time.” Yes, we take our wines seriously, but we also believe wine tasting can be both educational AND fun. It’s 5 o’clock here all day and every day, so come on in! Check out our delicious wines and merchandise! Our ever-growing portfolio of wonderful wines that range from dry, oak-barreled aged to sweet and fruity, offers something for every palate. Step up to any of our tasting bars and enjoy a tasting of our delicious wines. Our wine consultants are friendly, informative and are eager to help you find the wine(s) that will best suit your palate. The only thing better than Wine is Wine and Cheese! And not just any cheese. 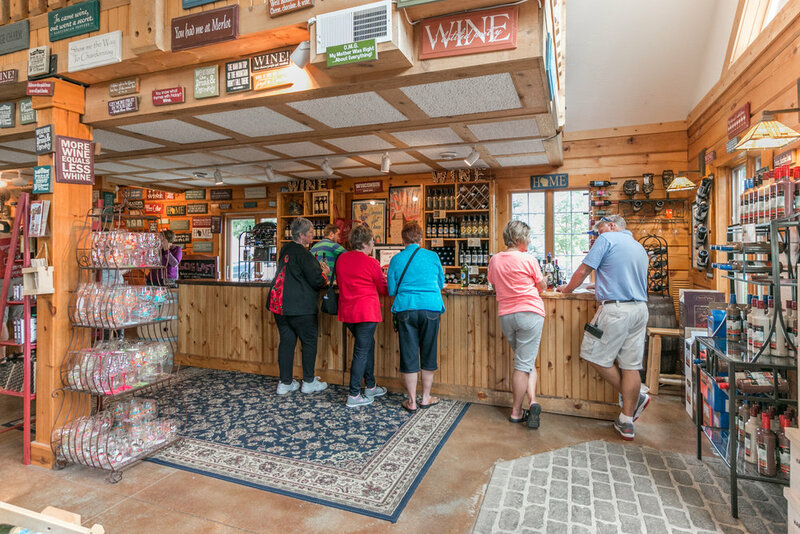 30 steps outside Harbor Ridge Winery is the home of Wisconsin Cheese Masters, where one can taste a wide array of award winning artisan cheeses – all produced in Wisconsin in limited quantities by Master Craftsman Cheesemakers. Don’t forget to bring a glass of wine with you when you sample these delicious cheeses. For those of you who want to shout your love of Harbor Ridge Winery from the rooftops, there are Harbor Ridge Winery t-shirts with your favorite wine labels. We have sizes ranging from Small – 3x Large. Now available by popular demand! High quality prints of all of our fun labels, ready to be framed and to adorn your walls. Signs, quotes and just all around funny stuff to put a smile on your face. Perfect for gifts and/or to hang next to your wine rack. Spring, Summer and Fall are all perfect times to enjoy our outdoor patio. Pull up a chair and share a bottle of wine, and cheese with your friends. Dogs on leashes are welcome outside on the patio too. Summertime on the patio with your best pals is one of life’s greatest pleasures! 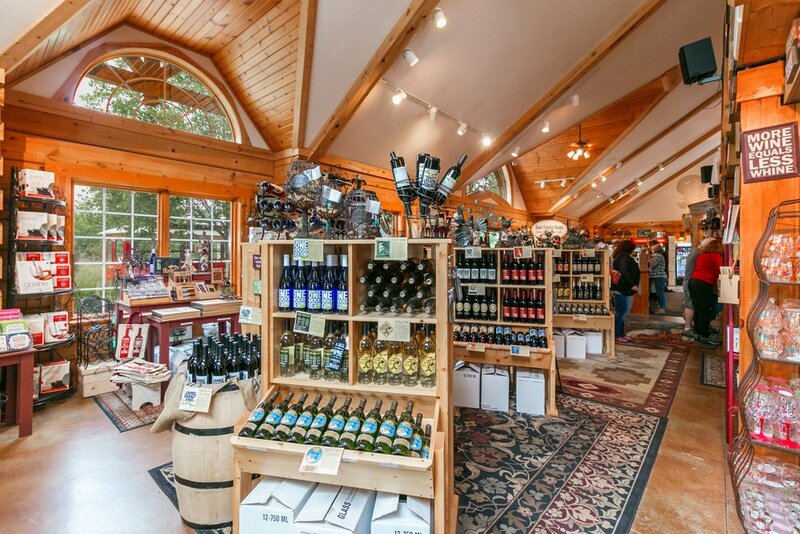 Anyone who has visited Harbor Ridge Winery knows that we love music. In the summer you might find a band randomly pop up on our patio as well. Harbor Ridge sees lots of rainbows during the summer. There’s a reason it’s called Rainbow Ridge! At Harbor Ridge we are open year round! What are you waiting for! Come visit!